The T.S. 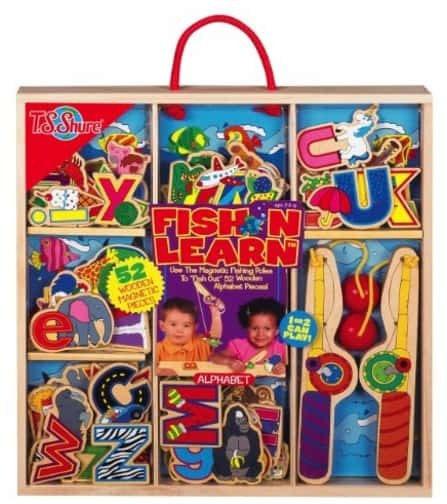 Shure Fish-N-Learn Alphabet Wooden Magnetic Fishing Game is on sale for $18.31 at Amazon right now. That's 54% off the list price of $39.99! Includes: 2 fishing rods and 52 illustrated magnets. Storage case for on-the go fun.